Probably the cheapest way of making amiibo clones. Nowadays there is more and more games appear which annoyingly ask the player to buy new figurines. It’s more comfortable and fun to play! — they say. Other games went even farther and don’t work without amiibos at all. If you’re a collector and don’t mind spending 10-15 bucks on another figurine then you can stop reading right here. This article might be interesting for more practical and thrifty readers who would like to get familiar with amiibo but don’t want to spend a lot of money on a collection of certainly beautiful but pretty useless things the main purpose of which is to collect dust on shelves. And probably you’re trying to protect your amiibo figurines so hard that you don’t want to touch them at all. Then this article may be useful for you! You will be able to make the exact copies of your figurines and play with them, while the originals are kept in a safe! Interested? Then let’s do it! Many people come here just to make their own Breath of the Wild, Splatoon 2 or Mario Kart 8 Deluxe amiibos. First let’s find all the required info on the NFC tag which we want to write the amiibo dump into. Use the Dumpinfo sketch which comes with the NFC shield library in order to get the NFC tag UID. Now it is required to dump the amiibo figurine that we have. Dumps from the Internet are suitable too. Usually you can find them by googling “Amiibo BINs”. I made an Arduino sketch to make amiibo dumps which is called Dump_amiibo. It’s enough to upload it into Arduino and put the figurine on the reader. In a few seconds the dump will appear on the screen. Just copy it into a hex-editor and save the resulting file. In this example I called mine as Chibi-Robo.dump.bin. Now prepare the dump to be written to the tag. Go to https://games.kel.mn/amiibo, pick your dump, the key then specify the UID of the blank tag. Press “Submit”. 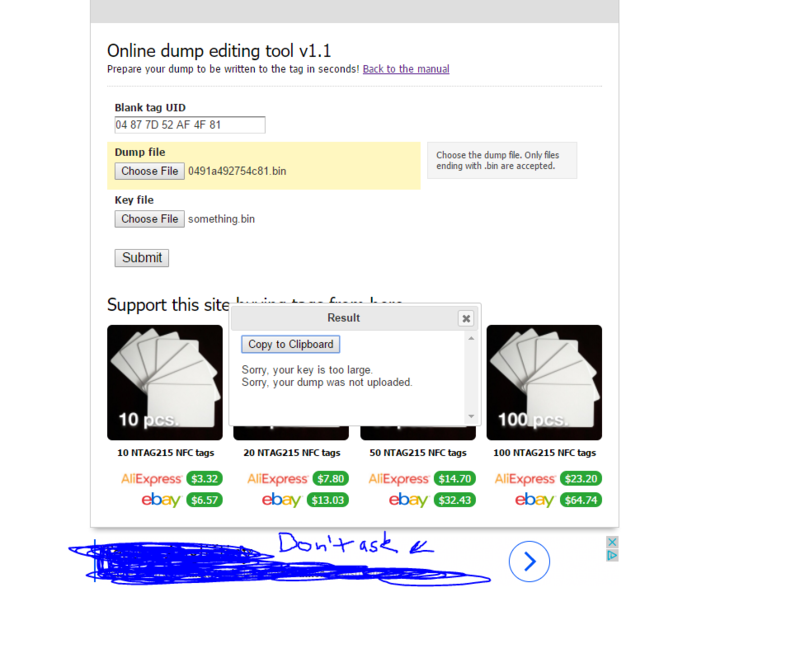 On the next page you will get the code of the dump made specifically for your tag. Now this code should be pasted into the Write_amiibo Arduino sketch. Run the sketch, put the tag, wait till the writing process is finished. After you see the “Write finished! Now please take your Amiibo card away!” message it is safe to take the tag away. If all the steps were performed correctly then your amiibo clone is ready! Comes with all the devices needed plus a few extras for your future projects! That’s a lot of amiibos! I love console games. Like to modify consoles and other related electronics. and im getting the error my key is too big. why would that be? Hi Alex, the file size of the key has to be 160 bytes. Make sure you’ve saved it as a binary, not as a text file. It also seems like you only have the second half of the key. It is 320 chars with no spaces. Sorry for the hassle, unfortunately, I am now allowed to provide a direct link to the key. OK so I couldn’t figure it out (again) but I did find my old reg-key that works. Good for you! Happy cloning! I was able to run your scripts to dump one of my Amiibos successfully. But when I try to run the DumpInfo on a blank NFC card, nothing happens. Unfortunately, some Chinese tags do not work with cheap RC522 modules and no one was able to fix it yet. I personally have about a hundred of such problematic tags. I write them without issues with PN532 module and the 3DS itself. Hi, the NAK error usually appears when you’re trying to write to an already used tag for the second time. I recommend you to get another tag and to start from the beginning. There are also a couple of tools which simplify the process, such as AmiiBomb and AmiiDuino. Try them too. Hey thank you so much for all of this, I have managed to write to tags successfully however when I try to use them it BOTW they do not work it just makes a ‘beep’ sound. I was wondering if you knew how to fix this issue? Hi Alex, as we found out, it was the wrong UID that was used during the process. 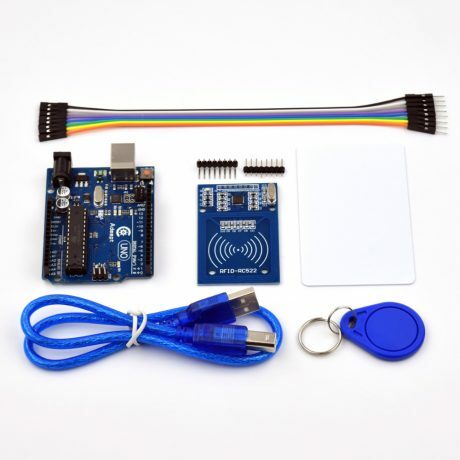 I am going to attempt to write a sketch for the Adafruit PN532 shield on an Arduino Uno (using Adafruit’s libraries and an I2C connection). 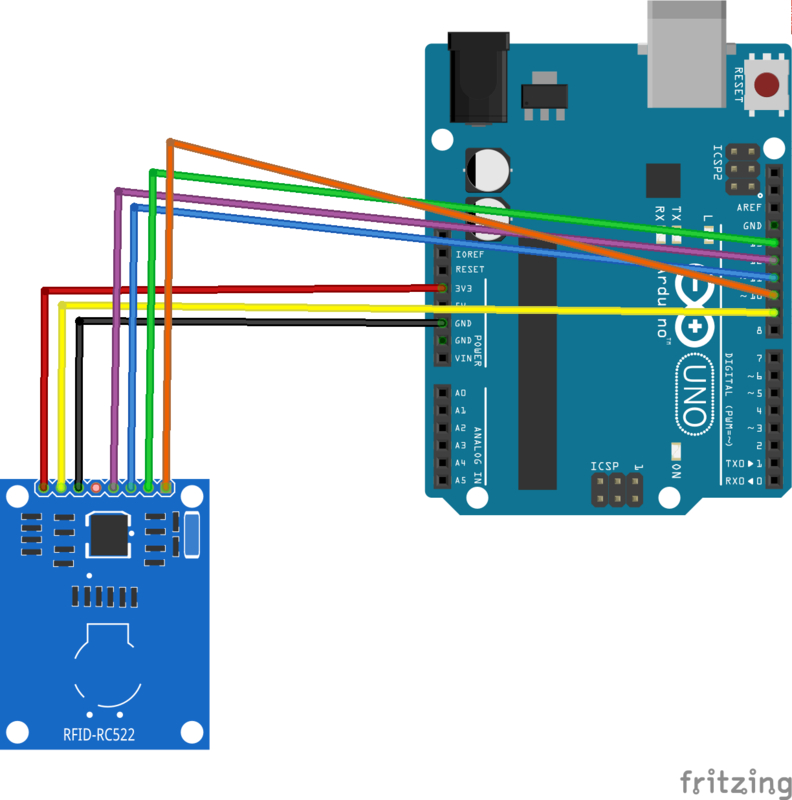 I am new to coding and Arduino… I noticed in the comment you left wherein you were guiding another person attempting to do the same thing that you said it’s very important to incorporate error checking into the sketch… but check for success of what exactly? this step: “Use this to Encrypt your custom Amiibo NTag pastebin” isn’t good enough. I keep getting this error : A MIFARE PICC responded with NAK. What am I doing wrong? Seems like you’re trying to write to a password protected tag. Usually that happens when you try to write a dump onto the same tag for the second time. Try to generate a new dump and write it on another tag. I have tried multiple tags and it still isnt working. the first time I run it it gets to page 45 then gives that error message. The following times it only goes to 18. I have done this on at least 5 tags and it still doesnt work. Hmm. Sounds strange. Can you make dumps of your failed tags using the Dump_amiibo sketch and submit them via the feedback form? Just sent the dump. Let me know what you find out. And thanks for the help! Hi, I checked the dump you sent me. Seems like you’ve got the wrong tags. According to the dump, yours tag has only 45 pages of memory, which means you’ve got NTAG213 tags. But for this article you need NTAG215 tags, that have enough memory to hold the dump data. I would recommend you to buy the suitable tags and try again. That online tool is fantastic! 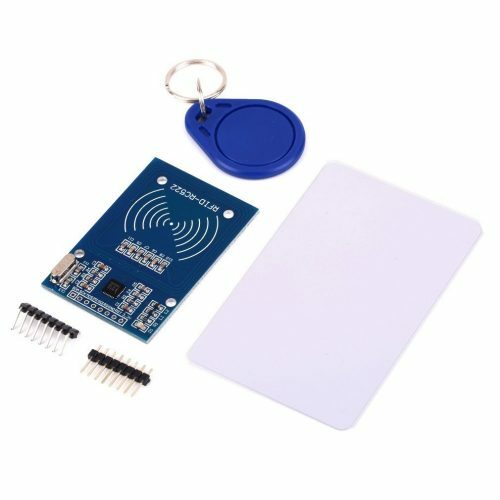 I’ve been rolling my own arduino code with the Seeed NFC Shield 2.1, and your tool is helping me smooth out that process as well. Thank you for your feedback! I have surely put some love into the online tool to make it simple and friendly to use! Thanks for putting all this together. I bought both the NFC module and cards from your Ali links above, so I think I have all the right equipment. I flashed DumpInfo onto the arduino and I can read the info of the two sample cards (both are “PICC type: MIFARE 1KB”, these only have a 4-byte UID so I’m assuming these won’t work) but none of the NTAG215 tags that I bought are showing info. Any thoughts about what I might be doing wrong? Is it possible that I got a dud batch of 20? FYI I read on the MFRC522 library page: “Some boards bought from chinese manufactures do not use the best components and this can affect the detection of different types of tag/card. In some of these boards, the L1 and L2 inductors do not have a high enough current so the signal generated is not enough to get Ultralight C and NTAG203 tags to work, replacing those with same inductance (2.2uH) but higher operating current inductors should make things work smoothly. Also, in some of those boards the harmonic and matching circuit needs to be tuned, for this replace C4 and C5 with 33pf capacitors and you are all set. (Source: Mikro Elektronika)” So I’ve ordered replacement parts for L1 and L2 and will see if that resolves it. Hi! Unfortunately, some readers have weaker antennas. I have one weak reader and I was able to fix it with just a coin. Make sure the coin don’t touch any exposed metal contacts on the board. If this works, stick the coin to the reader. I used hot glue but you can use anything you like, even a gum. The effect varies depending on a coin size. I started with largest coin and then gradually decreased the size. I found that the signal is equally good both with 5 and 2 euro cents but isn’t good enough with 1 cent. That absolutely did the trick. A US quarter worked best for reading and writing. Thanks Kostia! I’m glad this helped! Can you please share a picture of the result? Hey, thanks for the photo! Nice job! Seems like you’ve got wrong NFC tags. Are you using ones that came with the NFC module? Check that you’re using NTAG215 tags first. No coin can solve this issue. I am using the tags that came with the reader (both the card and the key chain read 4 -byte UIDs).How can I know the type of tag I’m using? The type is displayed by the DumpInfo sketch. For your tags it will say “PICC TYPE: MIFARE 1KB”, the NTAG215 tag will be recognized as “MIFARE Ultralight or Ultralight C” as seen on the screenshots for this article. you changed the article… now it doesn’t match up with what you had before… I kept getting the wrong tags (aliexpress kept sending me 216 and 213 and not 215… and now that I finally get them, the article changed… your instructions on how to use the online dump editing tool aren’t as clear as your previous article was… My understanding to the dump is the amiibo dump that I’m trying to copy to the tag is that correct? if so then the key dump what is that? where do I get that bin? 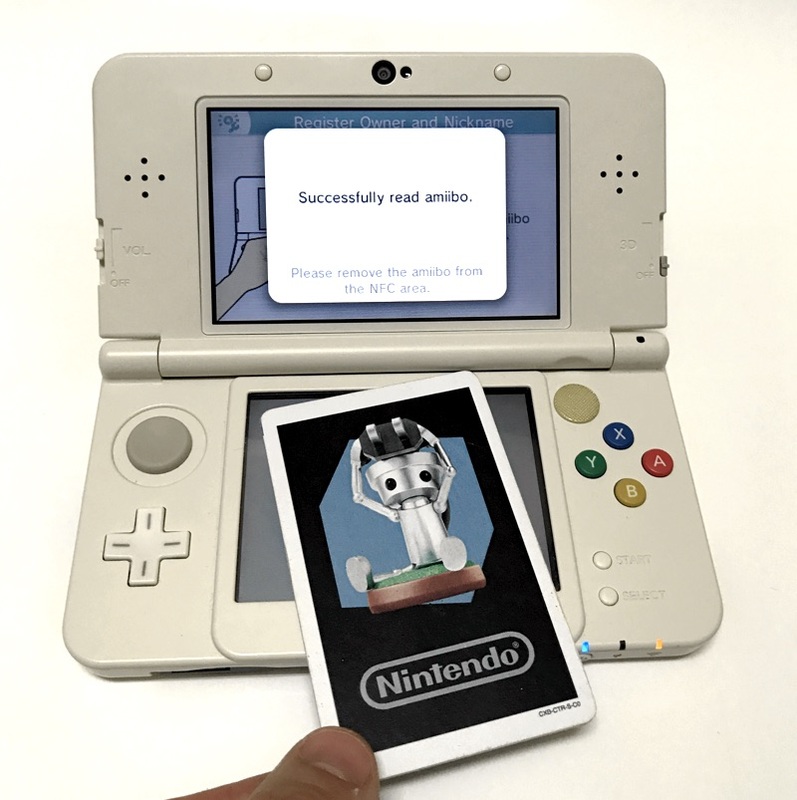 I did do a google search for that particular file… I put the dump file into the right place, the key on the right place, and I put the 7 byte UID without spaces and press submit… I burn the tag and try to read it and it says this is not an amiibo… I would greatly appreciate your help, since I only got 9 more of these…. I’m assuming you can’t re-write them? So you’ve figured out how to use the online tool? Sorry for the article change, I’m trying to keep as simple as possible, and the online tool simplifies the process a lot. 1. Take a clear tag, scan it with DumpInfo sketch. 2. Take the UID from the output, it should look like 04010203040581. 3. Go to https://games.kel.mn/amiibo enter the UID you got, upload the amiibo dump and the key. 4. You will get the new UID-specific dump which can be now written to your blank tag. 5. 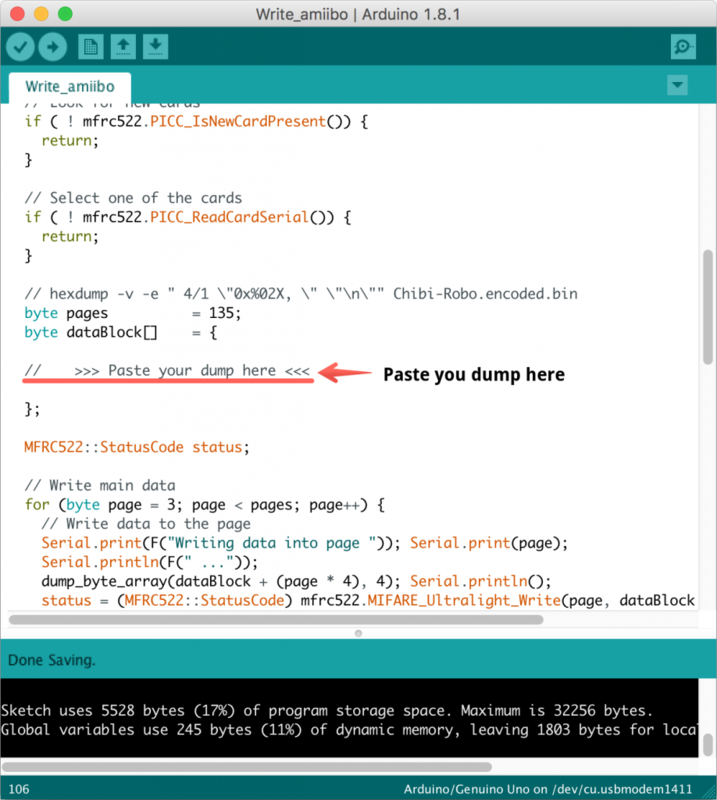 Paste that dump into the Write_amiibo sketch, upload it to your Arduino, write the tag. Thanks for the reply! the UID is that the one right after the title card UID? or the one in the array below? because on your new article you underline your UID but state a different UID. I’m guessing by the way you’re posting your UID in this response, it doesn’t need the spaces. Thanks a lot again for your reply! Thanks for the notice, I fixed the UID in the article to match the screenshot. The online tool accepts the UID with spaces too, so no need to remove them. Where do I get the key file? Google “Use this to Encrypt your custom Amiibo NTag pastebin” and you will find it easily. All I found was a long string of symbols that I don’t know what to do with. You should copy those strings and paste them into the hex editor one after another. I just realised that you’ve pasted the text into the text editor, not a hex editor. This wouldn’t work! Oh. Me is stoopid 😀 What HEX editor do you recommend? It works 😀 If I run into any problems I will contact you again. May I ask you to remove images from your posts? Let me know the results! Try to take another tag. Don’t forget to make a new dump for it. 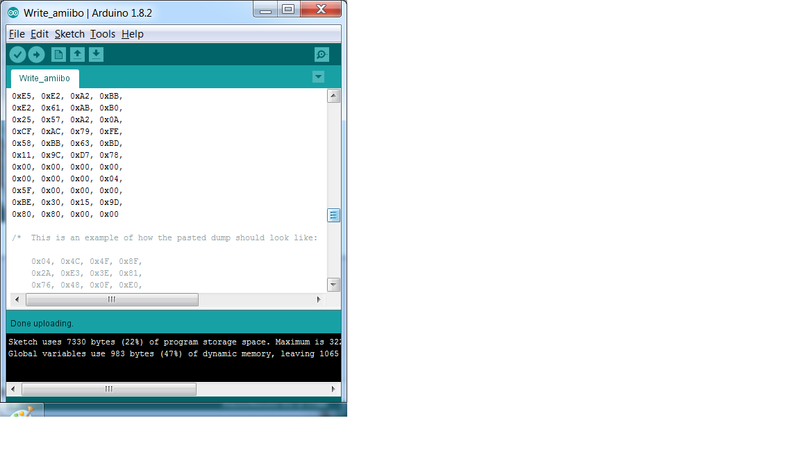 Just take a new tag, generate the dump, paste it into the sketch, upload to Arduino, write the tag. Make sure you don’t leave any dump lines commented this time. Also please remember to repeat the process from the beginning for each new tag. Oh and how do I write the amiibos using the software? I haven’t tried it yet, but the process is pretty simple. Just plug in the Arduino with NFC module connected, run the tool, specify the key file, the folder with amiibo dumps, choose the one you want to write, put the tag to the reader, done! And may I ask why didn’t you just gave us the key file? The key is leaked and belongs to Nintendo, so it is illegal to share it and I can only provide hints on how to find it but not give direct links. Hey, thank you for your support! It means a lot to me! All I found was a long string of symbols which I dont know what to do with. 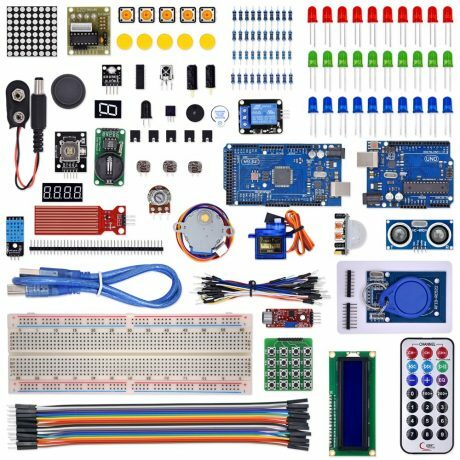 I am very new to arduino. Where do I see the UID? You skip over the whole section of setting up the board, what pin to what pin, even little things like where to open the output serial monitor window took a bit of google. 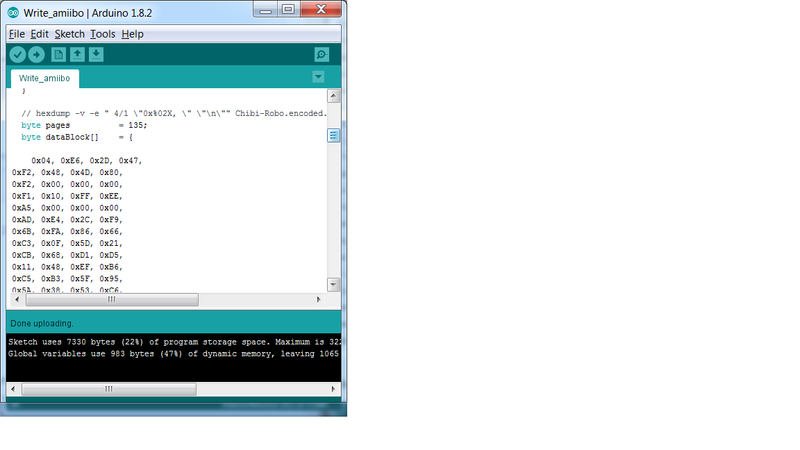 first time with arduino solely for this and I’m not feeling good about this. this is the basic setup i have, except my rc522 came with the 8pins header pre-soldered. WARNING: Communication failure, is the MFRC522 properly connected? apparently the rc522 I got is SPI only, no I2C bus support compared to others. I’m not sure if thats a problem. Hi, can you show a photo of your module or give a link to its description? It’s made by sunfounder, I don’t have a direct link on hand. Found a Nexus 7 refurbished for 60-ish so im just going to try tagmo next. All the SunFounder modules I was able to found are based on PN532 chip, not RC532, probably that’s why it wasn’t working properly. Glad you found an android smartphone, this way it would be much simpler indeed. Yeah, this one looks like RC522 module. Great that you’ve figured out how to connect it properly! I had almost the same experience with the PN532 module, when I was ready to ask for refund before realising that I messed up with the connections. And thank you for becoming my patron! I appreciate it a lot! so i gave the dumpinfo scketch a try and i don’t get what you have in the picture. when i open the serial monitor it’s just a line of questionmarks and gibberish. do i have a bad reader? Try to change the baud rate to 9600 baud, see the dropdown list in the bottom part of the serial monitor window. thank you. that did the trick. I’m stuck on the dump info. I don’t get a part that says the UID of the card. Seems like you’re running the wrong sketch! and upload that sketch to your Arduino. Wow. This works! I can’t even follow directions properly. Lol. 2 more questions if I may.. In the online tool, what file goes in the Key section. I am using downloaded dumps, and I do not see any Key.bin files. Also, when you say to “Paste the dump” into the write sketch, what exactly goes there? A path to the encrypted file? The actual text? How would I get that? Ok, that was more than two questions. Got it. I think that worked. Ill know when I try it tonight. Thanks again for making this guide and supporting it! Let me know the results! Good luck and happy cloning! Hey, was just curious if you are still working on the PN532? If not I was thinking of just picking up the components you used anyway to try this out soon. Thanks for sharing this! Hi @Kostia! If I donate to you now will I still get the sketches earlier? Thanks! You still working on it? Hi, sketches are ready but I need the blank tags to arrive in order to test everything. Probably I can provide the sketches earlier to the donators for beta test. What do you think? That would be awesome! It would be the fastest way for me to get going on this. I just figured out how to use amiibomb, but I’m not sure if I can use it with the Adafruit Metro. Thanks for your advice, the donators have just got their access to the closed beta test! You can get the access too either with a PayPal donation or by becoming my patron on Patreon (the $5 tier). As far as I know, amiibomb has no PN532 module support yet, so it will not work no matter what Arduino model you use. I’ve got a problem much earlier on in the process. Namely, I can’t figure out how to install amiitool to begin with. Hi @dennis_alaniz:disqus! Seems like you’re trying to build amiitool from source. This error message should be gone then. Otherwise just use the pre-built binary. Thank you. Very helpful (and kind of embarrassing). I’d tried downloading that earlier, was unable to get the download to work, so found it on Git and tried to do it myself thinking it was the same file. It took me a while to get Mega to let me successfully download it, but all is well now. I’ve got virtual box and Ubuntu up and running on my mac, but I’m clueless in Linux and can’t get Amiitool up and running. 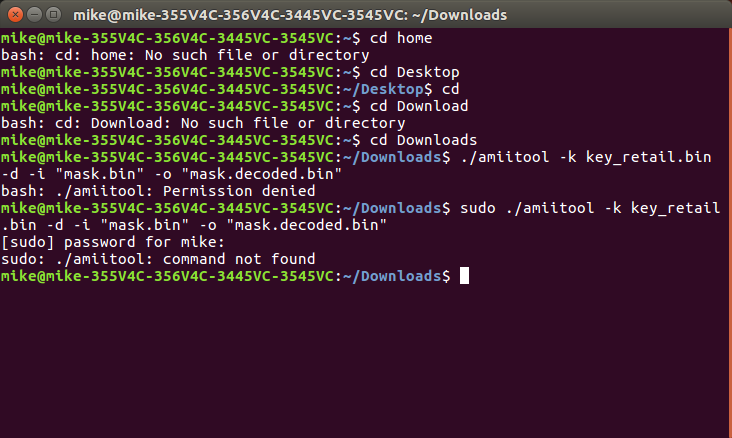 It’s downloaded to the linux box, unarchived to my user folder and I’ve used cd to get terminal into the right folder, but I don’t know what to do from here. Does it need to be installed? If so, how? This is 100% what I was looking for! 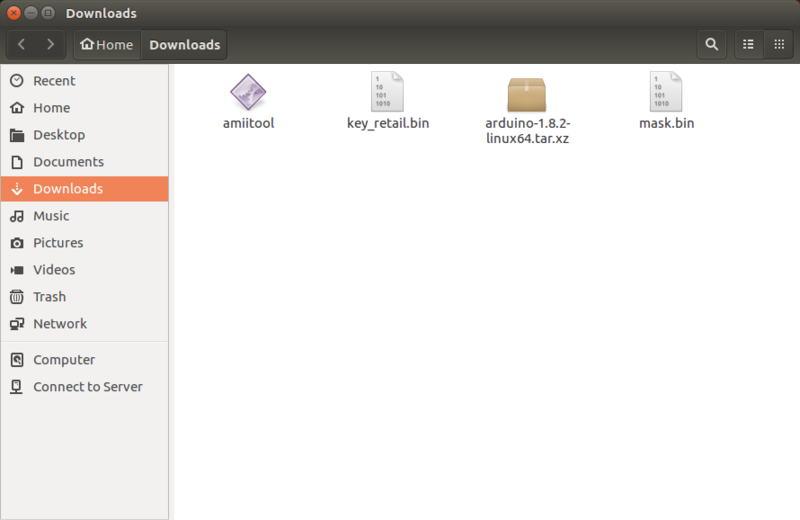 But I don’t understand why amiitool is only for linux? Do i have to get linux to use it? I’m stuck at that part right now. And as far as I can tell it works exactly as Linux version, so you may try it! Yes, I use amiitool on Linux and then edit dumps on Mac. There is no amiitool for Mac, unfortunately. also because you’re one of the only people I can find that knows about this stuff, if I don’t have an amiibo is it still possible to do this? with an amiibo file from the internet? This is also possible but it may be not legal if you don’t own the amiibo you’re downloading the dump of. in the same folder where you placed the amiitool to. Also make sure that you have the key_retail.bin and the dump in the same directory. Ok still trying to figure this out. I am trying to use the Write_amiibo tool and I pasted it all in and then I realized that you have a pn522. I have a pn532. How do I make this work with the pn532? Sorry, I don’t own a PN532 board and can’t write for it. But there were some people in the comments who managed to adapt the sketch to work with the module. If you like you can make a donation here, so I can buy the module and make a sketch for it. I totally would but I’m 16 and I have no money. Sure, no problem. 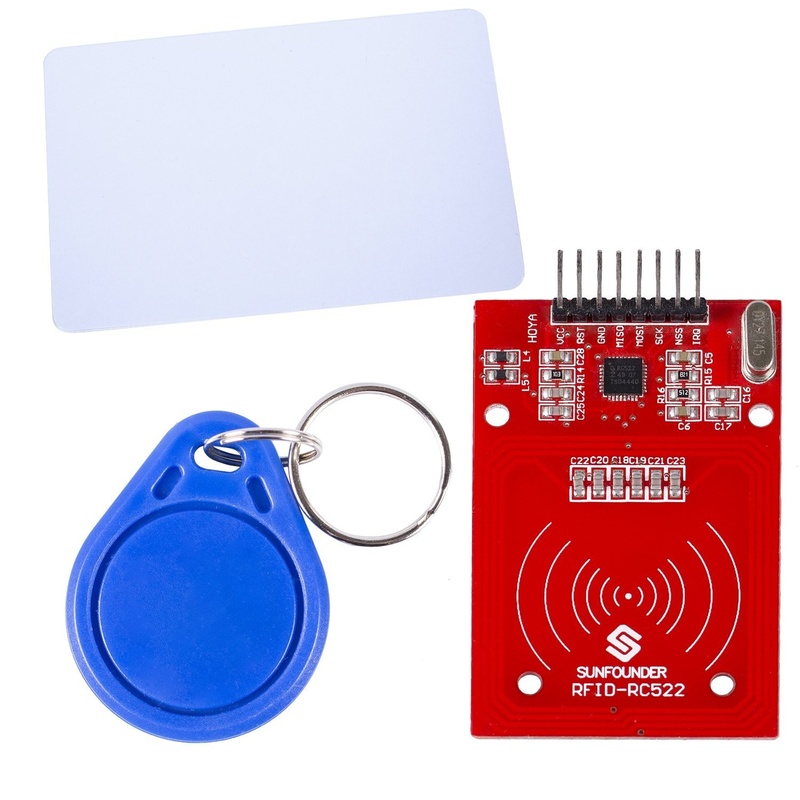 Then I would recommend you do dive into coding and maybe get in touch with people in the comment section who managed to make the code work with your NFC module. Of course you can also buy a suitable module and get to the cloning immediately. I looked quickly in the comments to see if anyone actually got it working, and it doesn’t look like anyone did? I was going to ask for the code but it doesn’t look like anyone actually did it. Also I would prefer not to buy it from there mostly because I like to support the local place where I live. And I don’t have to wait for shipping this way. And if you can please look at the adafruit examples for this board. It shows you how it works and stuff, but I didn’t quite understand it. I understand your sketches work though. I checked the comments section once again and must admit that the only person who actually tried to code for PN532 was Suki, but later that person switched to the RC522 module which I use in the article. So you should figure out on your own how to code for that board. I’ve given him an example and mentioned to refer to the examples available through the libraries and arduino. I did get it “working”, but haven’t re-implemented some of the error checks, but it’s also readily available through adafruit libraries and examples (the code actually becomes “simpler”). And you are correct, currently I’m using the rc522 module in the meantime just out of convenience. Ie. both boards work. NOTE: IT DOES NOT INCLUDE ERROR CHECKING, you SHOULD implement it (check for success’ – the library should have the functions for it). NOTE: you must go into the .cpp of the adafruit library and under the function “nfc.ntag2xx_WritePage” you need to remove the < 4 page check, VERY IMPORTANT. // Write lock bytes – the last thing you should do. // If you write them too early – your tag is wasted. If you hooked it up directly to an uno as a shield, I assumed you didn't use the SPI breakout. So define your IRQ and RESET pins and initialize via IRQ/RESET, ignore SPI lines. Also refer to the adafruit examples as Kostia has referenced in the comments. everything I said can be constructed through their examples and some basic arduino programming :). This is great! You are the best! Better than that, maybe if we could use the n3DS (or maybe a skylanders “portal” on pc?) to write the tags. Hi Kostia, Thank you for your tutorial, seems very informing. I’m trying to have this working, seems like I’m writing to the tags just fine, but they aren’t reading, and I’m assuming its on the data level. And I’m wondering if it has to do with the status locking bytes. 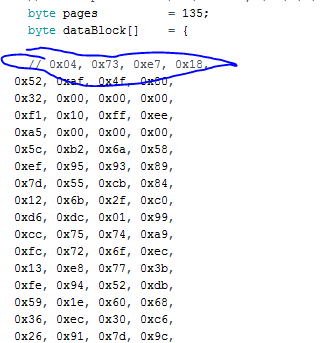 In your sketch you have the first 2 bytes the same as the second 2 bytes. I’ve read else where that byte 0 1 2 3 should be BCC1 0x48 0x0F, 0xE0. 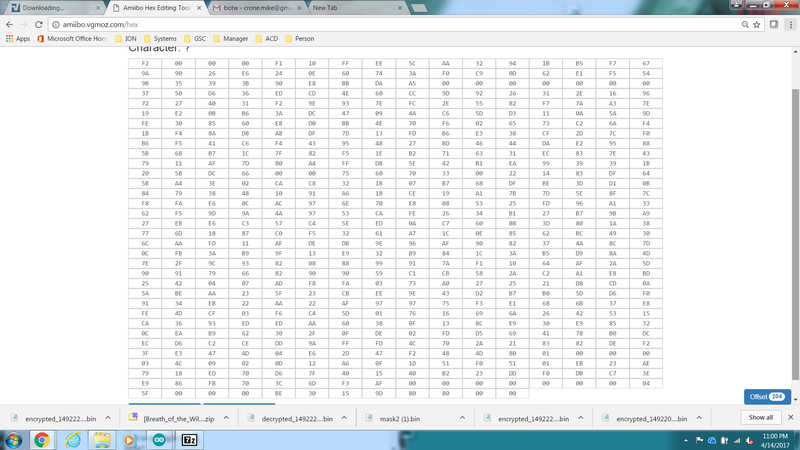 Anytime I re-read my written ntag215, the mid portion of the data loooooks correct? but its after page 130 its different. Using the nintendo switch console. First, thank you for the feedback! Second, please refrain from using the online tool. Seems like it generates slightly different dumps from what Linux amiitool does and that could be the reason why your tags don’t work. Third, yes, you’re right, in my sketch I write “0x0F, 0xE0, 0x0F, 0xE0” instead of “something, something, 0x0F, 0xE0”, but that two “something, something” bytes are non-writable, so it doesn’t matter what you’re writing there, they will stay the same. Fourth, what exactly looks different after page 130? If that’s the password and response bytes — that’s totally normal. You may check the datasheet to understand why that is happening. Thanks for the quick reply! Yeah I started digging into it, and I will try to give the linux tool a try instead in the coming days (just need to get a VM setup). And thanks for the clarification :). I’ll give it another whirl and keep you posted. Just a quick update. I haven’t tried the linux amiitool yet, but I did try to rule out as many factors as possible so I went out and got me the exact same reader as the one in this tutorial and using the exact same libaries and sketches. I can confirm that the read/write appears to be working just fine, so it does seem to narrow down to the online amiitool. Will now move onto the linux amiitool soon and try that. Last update haha. So it worked! I officially confirm that it was the online amiitool that was not giving correct dumps. So I would recommend as you did, that everyone avoids that online tool and follow your guide exactly as is. Thanks again! and great guide! Great, glad this worked for you! Thanks for update and happy cloning! 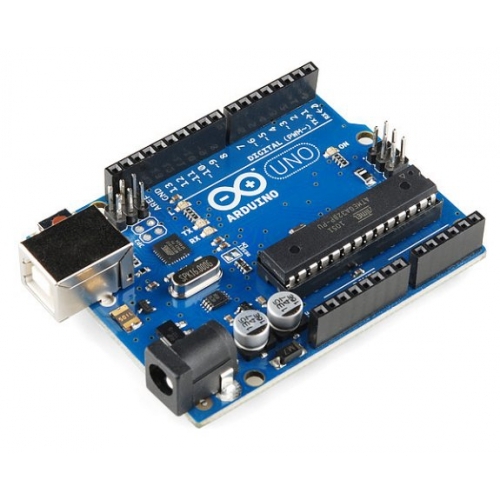 Hi, Does anyone have a guide on how to setup the Arduino and card reader? Just a short question I see that most dumps you can find are 540 bytes big. The NTAG215 chips that I can buy szate they have 540 bytes in total but writeable it is only lile 504 sometimes 480 depending on the vendors description. So as I am a little bit confused I just wanted to ask can I use those 540Tags? Or are there NTAG215 chips with more capacity? All NTAG215 tags are the same. Sure, you can’t change all the 540 bytes they hold (some of them hold the important data, such as serial number etc., which can not be changed), that’s why some sellers may specify a smaller size in their listings. 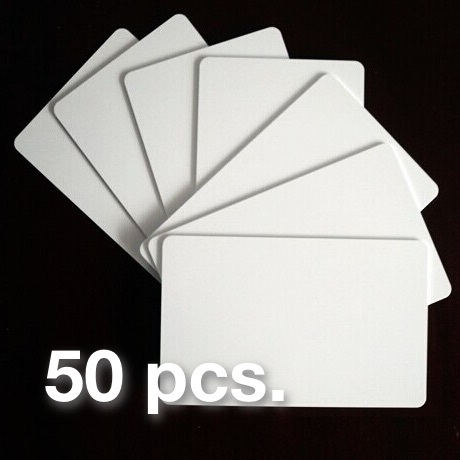 I recommend these tags because they are more durable, have a larger antenna and can also be customized with nice stickers! I also have the same reader and it is a pretty strong one. You still may want to try a trick with the coin though. I am pretty sure the amiitool for Windows is fine, just make sure that you follow the guide correctly. excellent tool! then load the dump, I modify the offset, and i download the encrypted version? i download files dump but I don’t have the UID, i must use the first 7 bytes of the dump without regard to offest 4 dec? Sorry, I don’t get the point. 2. It gets automatically decrypted and displayed on the page. 3. Edit the corresponding bytes. 4. Hit the “Download Encrypted” button and download the dump designed specifically for your tag. 5. Write this dump to your tag. You said “I don’t have the UID”, what did you mean by that? 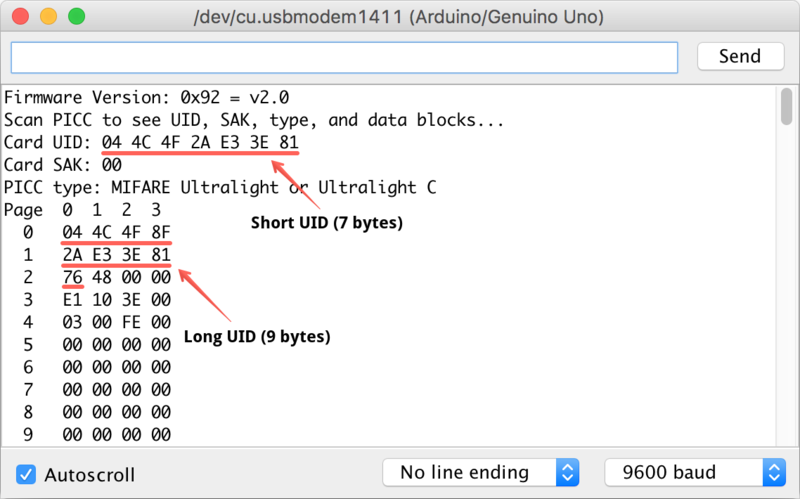 I read the uid only when I make the dump, not with the downloaded version (only bin), otherwise use the first 8 bytes by deleting the fourth? Check the instructions again. You should read your blank tag in order to get its UID. 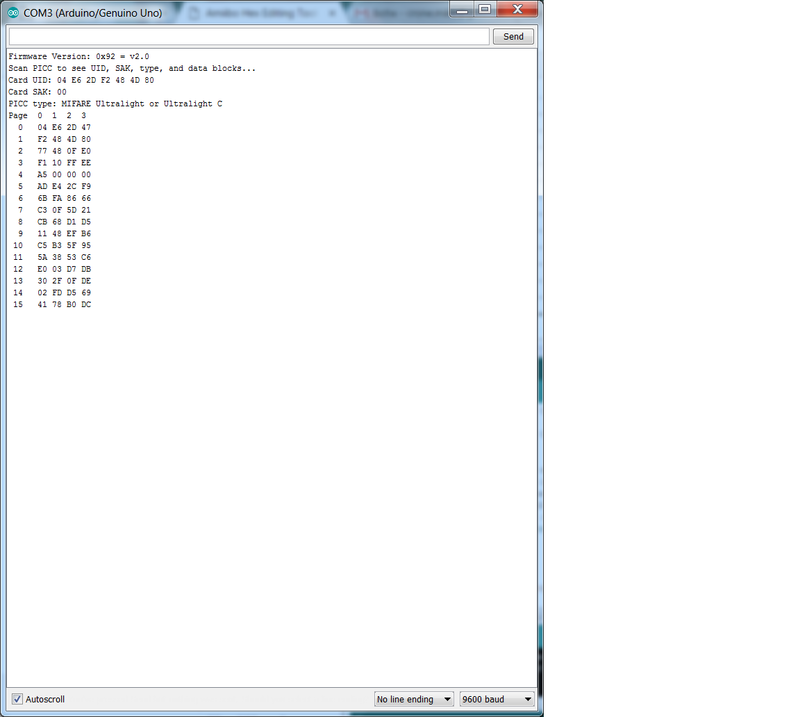 Then you generate the password from that UID and paste both into the decrypted dump. OK I thought that you had to take it from the original UID tags not from empty tags. Sorry, can’t do that. Follow the instructions, then share the UID of the blank tag and first 16 and last 20 bytes of the resulting dump. I will tell you if that looks fine. Hi Dan! Your dump looks absolutely fine! But it does not work, sure it’s not necessary key_retail.bin? It is not related to the key, otherwise you wouldn’t be able to decode/encode the dump at all. Are you sure you have written the dump to the blank tag with UID 04 7A C7 5A 06 4F 81? Can you dump the resulting tag and show it to me? Can you also share the sketch you used? Everything looks fine. How does your Wii U react to the tags? 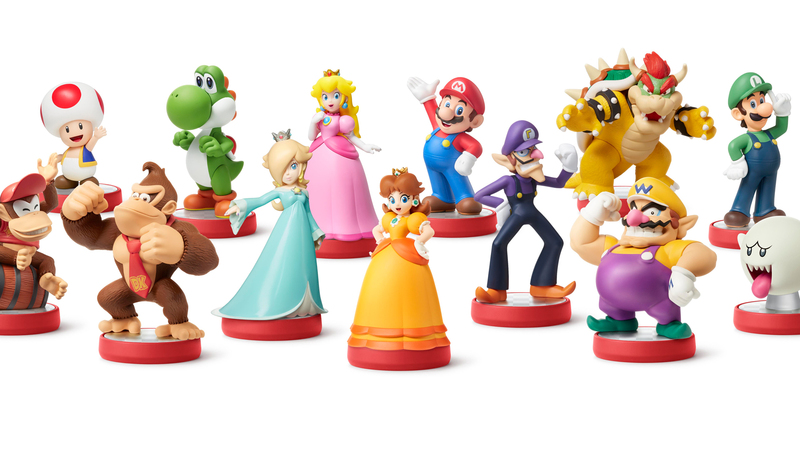 Are you trying to use them in the game or in the special amiibo settings menu? Can you make a screenshot? Let me know the results. i must buy others tag? other brand? I mean try to scan the tag in the system settings, not in game. Also if you don’t have success with these tags you may want to try these cards. They have larger antennas and are better recognized by console and the reader. They are also more durable and you can customize them! If ten cards in not enough (you will run out of them pretty quickly, trust me), you can also get 20, 50 or even 100 of them! I think that maybe there is an issue with the Windows version of the amiitool. Try the Linux version. No need to install Linux on your PC. I personally run a Linux VM on my mac with VirtualBox and Vagrant. As an alternative you may also try the online tool I mentioned earlier. 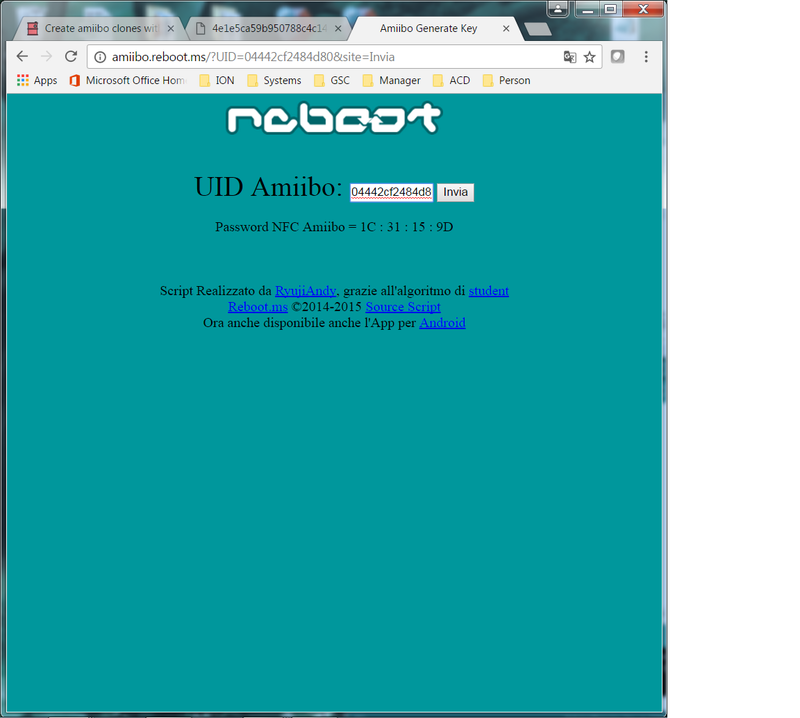 at the moment i used the online tool that you told me, first i retry the amiibo windows tool? The order is not important. You may try the following order: online tool, then amiitool for Windows, then amiitool for Linux. Hi Dan, just wanted to let you know that it seems like the online tool has some issues and the Linux version of amiitool works best. Nice catch! Will edit my comment to avoid further confusion. Hi, what’s on the second image? What tag have you scanned? I redid one and got the same result. I wrote up the steps I took. I may not understand you correctly. Please add descriptions to your screenshots. I have tried two Amiibo from nfc-bank.com. Am I missing something or screw it up? The process you described seems correct, but I would also like to see the dump before your edits applied. It’s hard to tell seeing only the edited version. Some people can’t get their tags working using the online tool. I would recommend you to try the amiitool with some hex editor on your PC. I’m also not sure about the Windows version of amiitool so better go with the one for Linux. Unfortunately, I can’t get the Linux one to run. Only machine I have is an Raspberry Pi. You can run Linux virtual machine in VirtualBox. There are pre-made VMs that you can download an run instantly. I checked this image and it works fine. Do I need to navigate to the directory that has the amiitool in it? Everytime I try to run ./amiitool I get an error that it’s not a command. Yes, you should run the command in the directory where the amiitool binary is located. This is the point that I cannot get past. I really appreciate the assistance. That did it. First successful one this morning. Thanks so much! I’m glad I could help! Happy cloning then! Michael, please, remove the attached screenshots except for the one with generated password. I can not properly edit it with moderator tools. I’m pretty sure your reader is fine. Just make sure you follow instructions well and format the dump correctly. Can you show me an example of a blank tag read error? What NFC reader do you have? Just stick a metal coin in the middle of the antenna. Make sure the glue and the coin don’t touch any exposed metal contacts on the board. Seems like you’ve pasted the dump the wrong way. Can you notice the difference? I can’t even guess what have you written to your tags in this case. 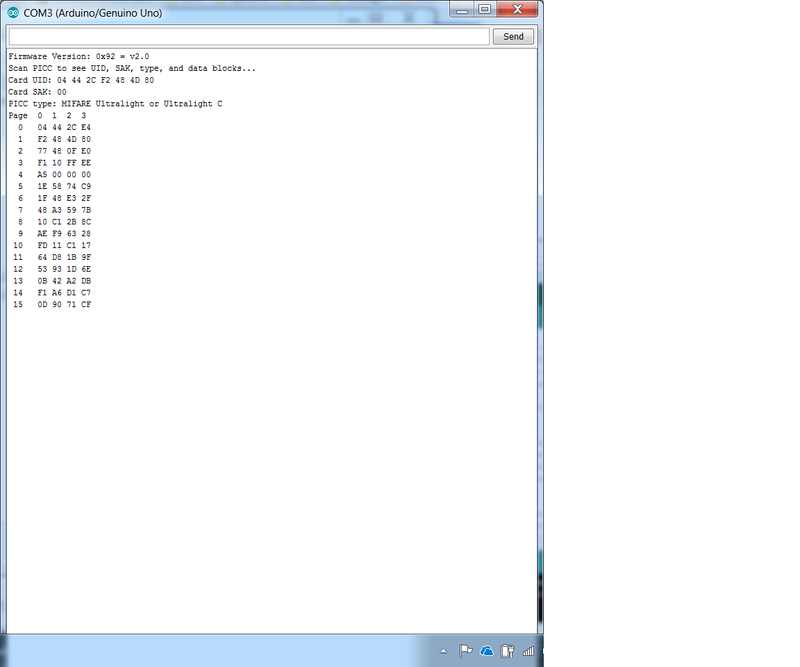 Try to reformat the input either by hand or using hexdump/other util. I only bought them, others do not currently have it available, but occasionally I can write but then I can not read them. you can write me in private if I give my mail? Currently I don’t understand the issue you have very well. 1. What do you mean by saying that you can write tags and then can’t read them? 2. Are you sure you have NTAG215 tags, not NTAG216 or any other tags? 3. Explain the process in detail. How do you write tags? How do you read them? 4. Give an example of the sketch that you use. You can share the Write_amiibo sketch leaving only first 5 and last 5 lines of the dump. I guess that it would be helpful if we communicate in comments sharing our experience with others. You can’t tell whether the tag has a password set from the dump (it always shows zeroes even when it is actually set) but the rest seems to be clear enough. Do you have difficulties with this tag? Have you tried other tags? MIFARE_Write() failed: A MIFARE PICC responded with NAK. in the process of writing I get this error, how do I fix? Seems like you’re trying to write to a password protected tag, which means that this tag is 100% not blank. Try to use another tag. The problem: With the MFRC522 library (v1.3.3 from March 23rd, 2017) I’m getting these error messages when trying to write the dump to the NFC Tag. Could you help me figuring out what’s going on? The additional question 🙂 I’m trying to clone a BotW:Archer-Link amiibo. 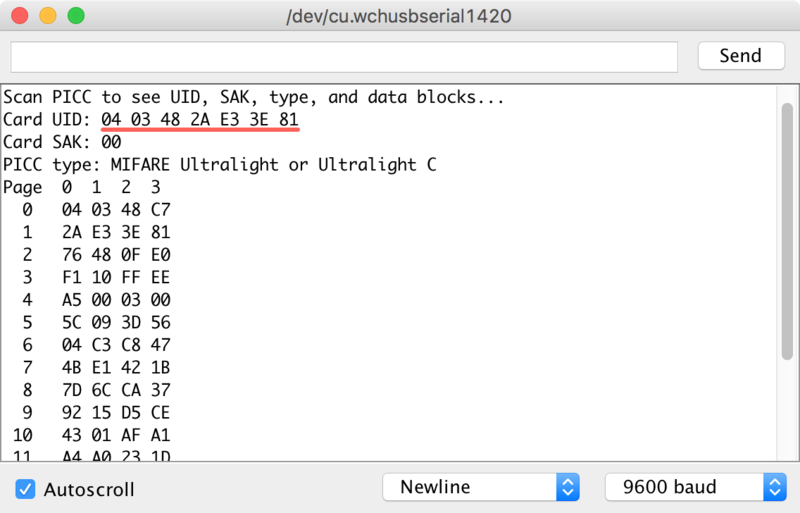 As in your tutorial, the dump (and its decoded version) have 540 Bytes. 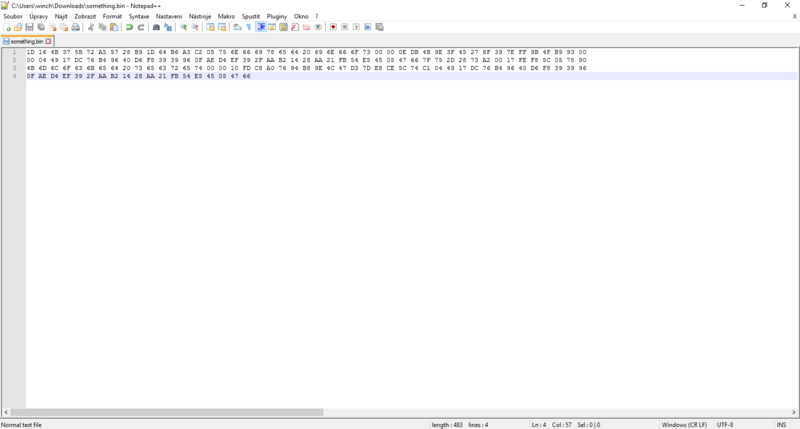 I found the Archer-Link-data also on the net (I believe it’s the regular source for these), but found the data to have 572 Bytes. Is the tutorial still applicable to these dumps? seems like you’re using my sketch in a weird way, maybe even pasting the code into another sketch. 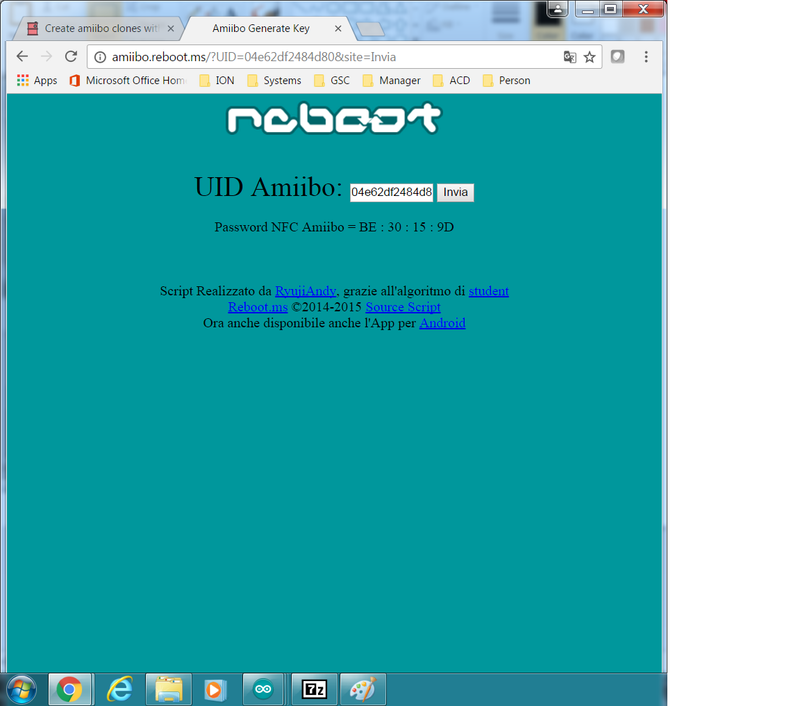 Try to download the Write_amiibo.ino file from my repository and open it in Arduino IDE. Regarding the 572 Bytes dumps, yes the tutorial is still applicable. You will just need to manually delete last 32 bytes from the dump. 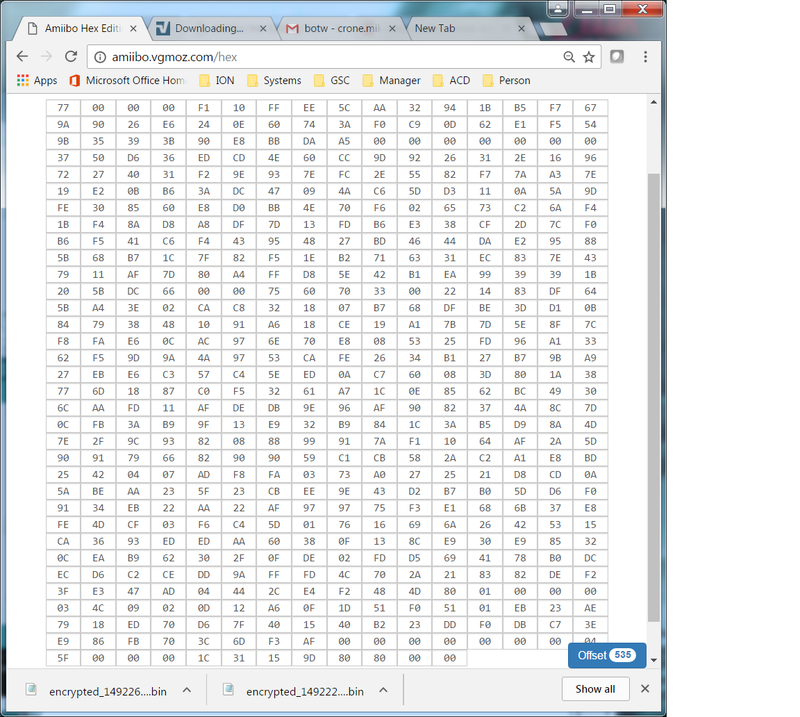 The last 32 Bytes are some extra data which, anyway, can not be fit into the NTAG215 NFC tag. Hey, thanks a lot for your advice! Turns out, I made a rookie mistake: Since I wanted to preserve the original Write_amiibo.ino, I placed a copy Write_amiibo01.ino in the same folder, which (of course) didn’t work. Tonight I was able to clone my own Archer Link and to create a working tag with a dump from a Guardian amiibo, and paid only a few bucks for the Arduino shield and the tags! Thanks again!! No, this module is based on another chip which requires different library. But I guess that you can relatively easily rewrite my sketches to work with your module. one other thing to note. i was using that link for the password generator for my first few runs and found that the codes it spits out aren’t correct all the time. the script you provided a link for has worked no problem tho. i’ve left a note for the web site contact as well. 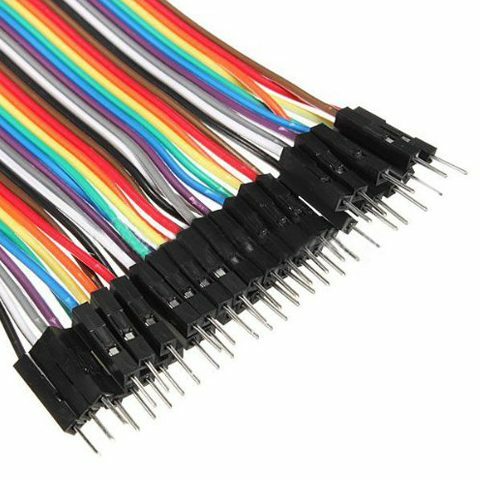 Where would you start to modify your code to work on the adafruit PN532 shield? I would start from rewriting the Dump_amiibo sketch, trying to find compatible functions and constrictions for initialisation and reading the tag. Seems like ntag2xx_read, sketch that comes with the library, may provide all the required data. 1E 85 FB 9E MIFARE_Write() failed: Error in communication. Would greatly appreciate your help with this. thanks for your attention to my article! 1. Seems like you may have an old/incomplete version on the library. For more info check my reply on github. 2. I haven’t ever seen the error like this but it seems like you might have removed the tag from the NFC shield too early. Try to hold it longer. You may also share your sketch via https://gist.github.com/. Maybe there is a typo in it. Thanks for the awesomely quick response, I didn’t remove the tag at all until the code said to remove it. I might be using an older version of the library indeed, I will give it a try. It starts writing the tag up until line 20, then the communication timeout appears… I will look at your response on github. Try to update the library and good luck!